Who is in this photo? 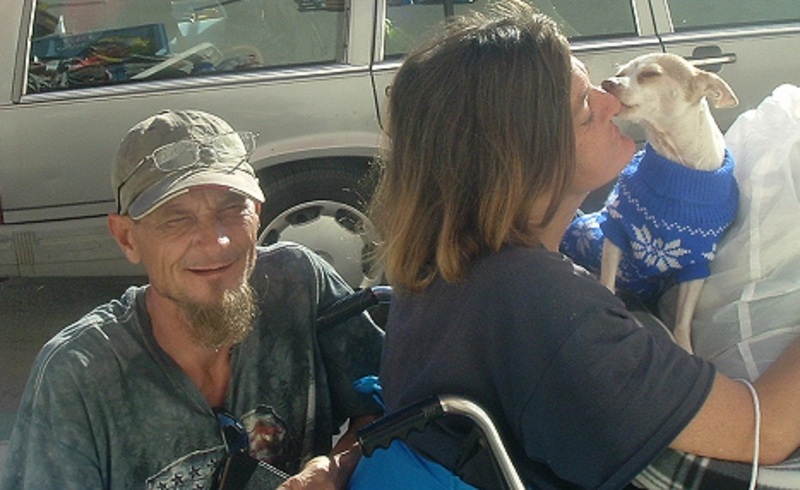 Tammie, Steve & "Bailey"
i have a small charity in San Diego I call, "KEEP WOOFY WARM", whose mission is to collect donated, used or unused warm doggie-wear for redistribution to the homeless with pets. I have a pet salon located in the heart of East Village and in the middle of the homeless population. Donations are accepted at the "Salty Dawg Pet Grooming Salon & Boutique" located at 1460-A Island Avenue, San Diego, CA 92101. Please call in advance for hours of operation. (619) 237-0557 I help the pets of the homeless also by offering free grooming, baths and nail trimming. The picture I've entered into your contest was taken last Saturday, November 17, 2012 just outside my shop and it touched me how "Bailey" sure seemed to be thanking his owners, Tammie and Steve, for getting him a brand new sweater that was donated just the day before by Alice Peterson of La Jolla. I made sure Alice got a copy of this picture, and others with dogs wearing her donations, so that she could see how her generosity has helped keep dogs on the street warmer this year.